Meet near the Pike Place Pig and ride to Lincoln Park in West Seattle, a totally flat ride! (Well, almost flat, just some very tiny short easy hills like the lower West Seattle Bridge). If you want to meet us there, we will be at shelter #3 on the south beach around 3 PM. 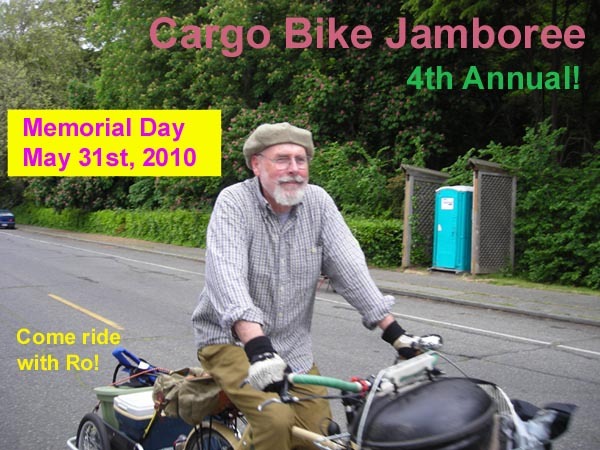 Look for Xtracycles, Trailers, Front Racks, Rear Racks, Panniers, Bakfiets, Porter Bikes, Messenger Bags, etc., etc. Cargo hauling is fun especially if you are cargo! Speaking of cargo, please note, we pack out all recyclables!